A campaign to tackle the alarming surge in far right extremism in the UK and across Europe will be launched by trade unions and party members at the London Labour regional conference this weekend (March 2-3, 2019). A motion calling on the London Labour party to join with London trade unions to form a ‘coordinated labour movement campaign to roll back the insurgent far right, will be submitted to conference. 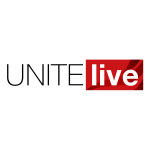 The London region of Unite is leading calls for a coordinated labour movement campaign to tackle the root causes of right-wing extremism by coming up with solutions to address the real concerns and fears of working people. London United, a campaign formed by Unite, ASLEF, CWU, GMB, NASUWT, TSSA, RMT, Baker’s Food & Allied Workers Union (BFAWU), USDAW and Unison in recognition of the key role trade unions must play in countering the populist propaganda of the extreme right, has the support of the Labour leader Jeremy Corbyn, shadow chancellor John McDonnell and London assembly member Unmesh Desai. With the far right mobilising across Europe ahead of the 2019 European parliamentary elections and the emergence of ‘alt-right’ street movements, such as the Democratic Football Lads Alliance (DFLA), along with groups linked to former leader of the English Defence League (EDL), Stephen Yaxley-Lennon (AKA Tommy Robinson) in the UK, the need for a coordinated campaign built on traditional trade union values of solidarity, tolerance and social equality is more important than ever. The launch comes two weeks before unions and anti-racism campaigners gather in London, Cardiff and Glasgow, on Saturday, March 16 to march against racism as part of worldwide demonstrations to mark United Nations anti-racism day. “Right-wing extremists have been adept at exploiting genuine grievances created by neoliberalism, the systematic undermining of social cohesion and austerity,” said Unite assistant general secretary Steve Turner. “But they have no answers to the real fears and concerns of ordinary working people. “Trade unions and the labour movement must be at the forefront of the fight against the populist propaganda of the extreme right. We need to be addressing the concerns that the far right pander to and offering solutions as well as talking to people about who the far right are and what they really stand for. “As members of the labour movement and trade unionists, we, of course, stand against extremism in our communities, while street violence, terrorism and child abuse are crimes that must be treated as such and not used opportunistically to target whole communities as enemies. This populist narrative however, is not the real narrative of those standing behind the far right who have a far more sinister agenda. “We are calling on the London Labour party to join with London trade unions to form a coordinated ‘Labour Movement’ campaign to organise against this growing threat.